Lupus is one of the most difficult autoimmune diseases to diagnose and treat. 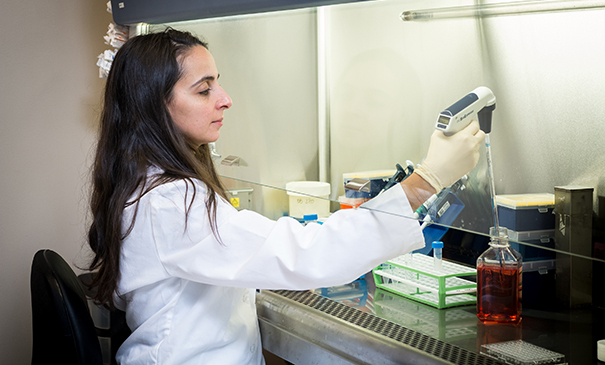 Clinicians and researchers at Virginia Mason and Benaroya Research Institute at Virginia Mason (BRI) are leaders in looking for causes and cures of the disease. BRI Principal Investigator Adam Lacy-Hulbert, PhD, and his team recently made a new discovery regarding how lupus is triggered. They gratefully received a grant from The Marco J. Heidner Foundation to better understand how the newly discovered mechanism works and how to affect it. Autoimmune diseases occur when the immune system – which is designed to protect the body against infection - makes a mistake and attacks its own healthy tissue. In lupus, the body attacks parts of dying cells throughout the entire body that would normally be quickly cleared away. This can cause inflammation and low blood cell counts causing fatigue, joint pain, rash, chest pain, headache, confusion, bleeding problems and other symptoms ranging from mild to life-threatening. Dr. Lacy-Hulbert and colleagues have identified a new mechanism that prevents the immune system from reacting to the debris that leaks from cells as they die. “We think that loss of this mechanism may be one of the reasons why some people develop lupus,” he explains. “We hope this grant will allow us to understand how this mechanism works in a particular type of immune cell, the plasmacytoid dendritic cell.” This cell can serve as a master regulator of immune responses and has been heavily implicated as a major contributor to lupus and other autoimmune diseases. Lupus affects 1.5 million Americans and is a chronic disease. It predominately affects women and usually develops between 15 - 46 years of age. There are very few effective long-term treatments and no cure. “BRI is unique in having scientists that cover all stages of research, from basic research right through to clinical trials,” says Dr. Lacy-Hulbert. “We also have an amazing community of patients and volunteer research participants that provide blood samples for us to study disease. With this grant, we can take my basic research team and work more closely with other researchers who are experts in collaborating with patients and human samples. These interactions are essential for the sort of breakthroughs that are made at BRI. Ultimately, we hope this research can lead to better approaches to treatment.